Revenue and revenue recognition schedules are automatically generated and consolidated to accurately book revenue in the right accounting period and according to the proper rules set by your accounting procedures. The system also provides the ability to easily recognize revenue based on percentage complete by project or contract. Easily manage complex product and pricing models including software licenses, recurring subscriptions, maintenance agreements, bundled items, SaaS, and complex discount arrangements. Apply billing and revenue recognition schedules by month, quarter, or yearly as well as customized time-periods, even mixed on same contract. 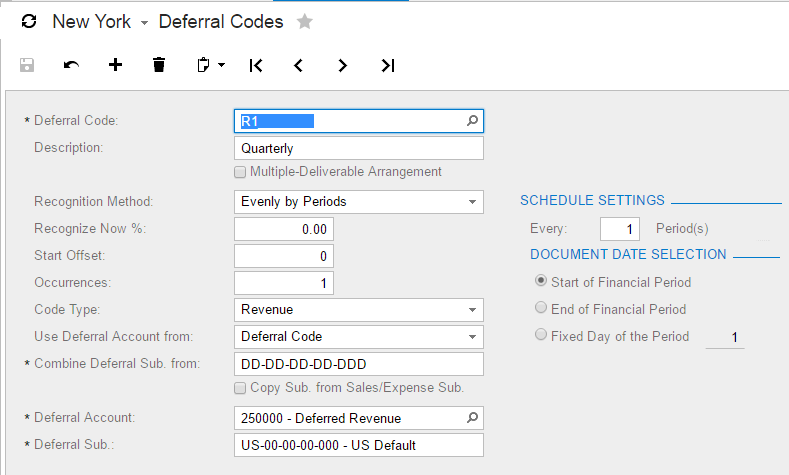 Attach revenue recognition codes to products.